In this photo: The hearse carrying the body of Dr. Ulysses S. Washington take the former longtime head of the Department of Agriculture and Natural Resource a final trip through the campus after the Celebration of Life service held in the Education and Humanities Theatre. Photo by Bernard Carr. A Celebration of Life ceremony was held Nov. 1 in the Education and Humanities Theatre, as many people from near and far came to pay their respects to Dr. Ulysses S. Washington, who passed away on Oct. 25 at age 98. University President Willa Mishoe recalled at the funeral that the former longtime chair of the Department of Agriculture and Natural Resources was one of the patriarch of families that lived on the campus of then-Delaware State College in the 1960s – at the same time she lived at the College as a teenage daughter of then-President Luna I. Mishoe. “It seems like the last of the ‘Fathers’ of our Delaware State College village has now left the earth,” Dr. Mishoe said. The University President said the University will never forget influence he had on so many lives. Former University President William B. DeLauder, Dr. Kenneth Bell, the retired dean of the College of Agriculture and Related Science who actually succeeded Dr. Washington in leading the agriculture education program, and Rev. Shirlyn Brown, superintendent of the Delaware-Peninsula Conference of the United Methodist Church, also shared expressions of honor and love. Otto C. Washington Jr., Dr. Washington’s nephew, shared reminiscences on behalf of the family. The University Concert Choir and Dr. Marshá Horton sang selections during the service. DR. ULYSSES S. WASHINGTON JR. 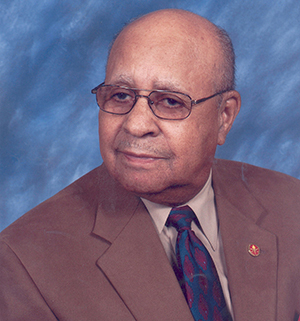 The Administration of Delaware State University and its College of Agriculture, Science and Technology extend this resolution as an expression of honor and the highest esteem concerning the life of Dr. Ulysses S. Washington Jr., former longtime chair of the then-Delaware State College Department of Agriculture, on the occasion of his passing. BE IT THEREFORE RESOLVED the University community grieves deeply with the family of Dr. Ulysses S. Washington over his passing, and will never forget this institutional icon and his everlasting contributions.